The Texture of Kryolan High Gloss Brilliant Lip Shine in Apricot is Non-sticky and waterproof. It does not bleed though it transfers. 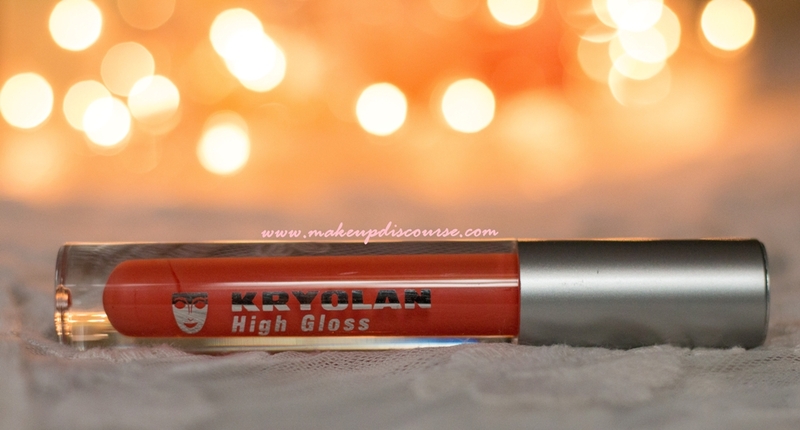 Kryolan High Gloss Brilliant Lip Shine in Apricot is light and hydrates/moisturises well. I prefer wearing this alone paired with Kohl Eyes. (I rarely wear Kohl and if I do, I make sure it is heavy and smoked.) Though my lips are pigmented or dual discoloured, I don’t mind wearing this alone at all. 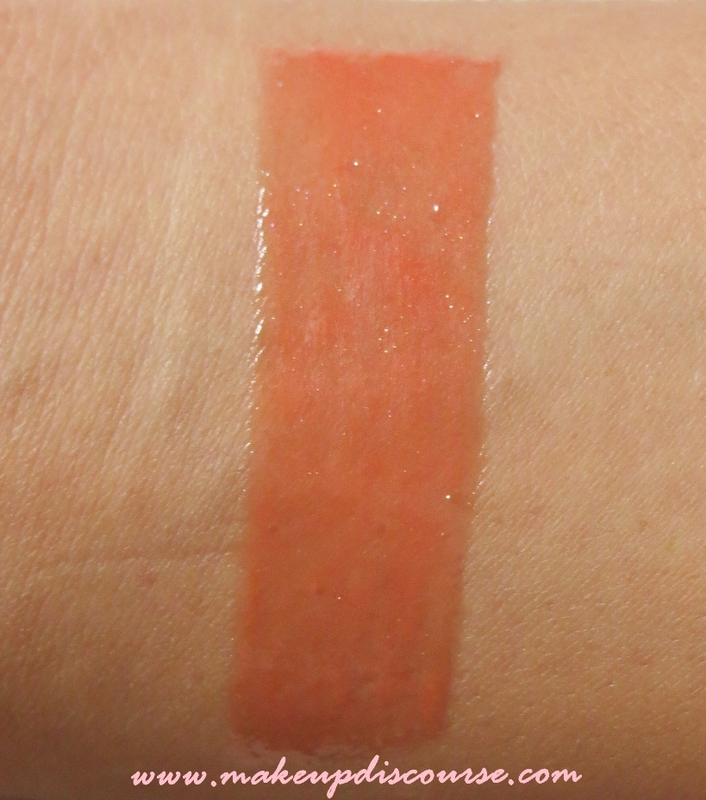 I also use this layered above few of my Coral Lipsticks. The Longevity is slightly better than other Lip glosses I’ve tried but not better than Bourjois Rose Exclusif since it leaves a tint. I think it is the viscosity of this Gloss; this stays on for 3 hours straight without meals or water. Polybutene, Paraffinum Liquidum (Mineral Oil),Pentaerythrityl Tetraisostearate, Tocopheryl Acetate, Aloe Barbadensis Extract (Aloe Barbadensis Leaf Extract), Trihydroxystearin, Parfum (Fragrance) and may contain: [+/- Titanium Dioxide CI 77891, Iron Oxides CI 77492, CI 77491, CI 77499, Yellow 5 Lake CI 19140, Carmine CI 75470, Blue 1 Lake CI 42090, Red 22 Lake CI 45380, Bismuth Oxychloride CI 77163, Red 28 Lake CI 45410, Red 36 CI 12085, Red 7 Lake CI 15850, Calcium Aluminum Borosilicate, Silica, Calcium Sodium Borosilicate, Tin Oxide, Mica] (EU seulement/only: CI 77510) May contain carmine as a color additive. Moisturizes & Hydrates well with a slight plumping effect. The Verdict: I have been wearing this gloss through the monsoon. And it does stay until you either blot down with a tissue or remove with cleanser/makeup remover. 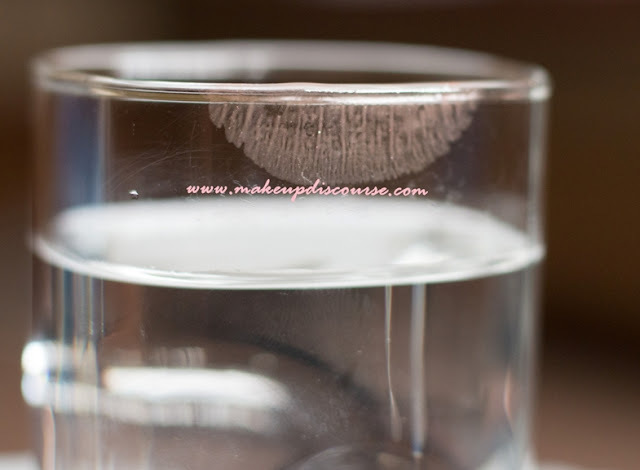 Even when it starts fading, the reflect starts to dull but it is as moisturising as it is freshly applied. I have started wearing Lip glosses to moisturise my lips when I’m out and this overfills my moisture urgency. I don’t feel the need to reapply my lip balm for hours notably. Recommendation: If you prefer Sheer Tinted, light Lip glosses. Wear alone or layer on a Lipstick; excluding the price tag.